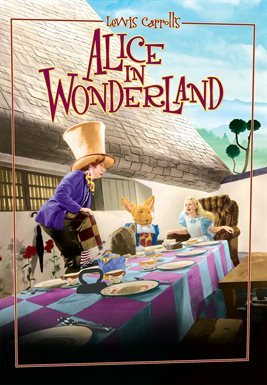 Celebrate Alice in Wonderland’s 150th Birthday with 16 Wonderful Choices from Hoopla! 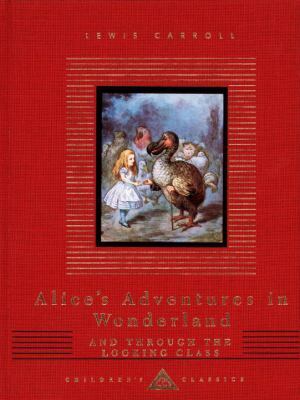 Alice’s Adventures in Wonderland was first published by Lewis Carroll (mathematician Charles Lutwidge Dodgson) in 1865. Since then it has been the inspiration for many novels, comic books, movies, video games, music, art, and even a line of perfumes! Earlier this year we had a display of Alice collectibles and graphic novel concept art by a local Hoboken artist on display. But what better way to continue to celebrate than with checking out both Carroll’s original story as well as the many adaptations available. Whether you are looking for something light and whimsical or something dark and scary there are a variety of choices for teens, adults, and kids. And you can also celebrate that the Hoboken Public Library and other BCCLS libraries are now doubling the amount of items you can borrow each month from Hoopla. Now instead of just 8, you have 16 Hoopla checkouts a month and in addition to TV shows, movies, audiobooks, and music you now also can check out eBooks including graphic novels and comics! Available both as an eBook and several audiobook versions this is the perfect time to go online and check out the classic work. 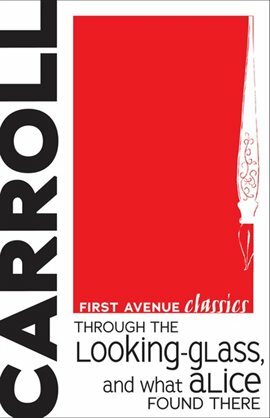 Carroll continued Alice’s adventures in Through the Looking-Glass, and What Alice Found There. 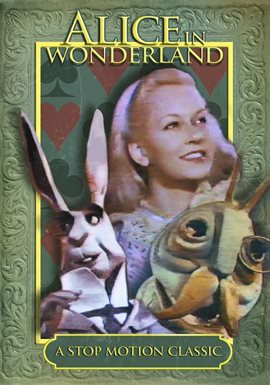 Set several months after the original novel, this work features the Carroll’s famous Jabberwocky poem and introduced Alice to Tweedledee and Tweedledum. 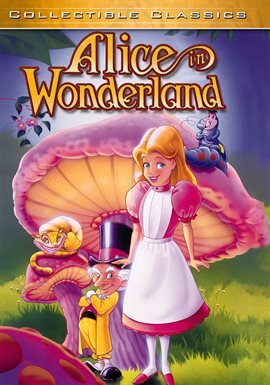 Alice in Wonderland is based on a story Lewis Carroll told to the children of a colleague and a family friend. 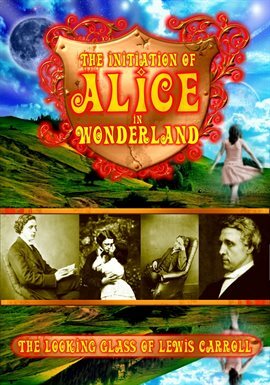 See how it all started with the original story Charles Lutwidge Dodgson’s wrote down for the real life Alice (Liddell). This experimental masterpiece by Czech Animator, Jan Svankmajer, is a mixture of stop motion and live action. The white rabbit is a taxidermied bunny who comes alive and slowly leaks saw dust as Alice chases him into a very surreal Wonderland. 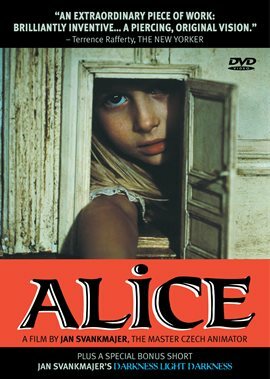 This movie is a must see for adult Alice fans, but may be frightening for young children. The 1949 stop motion classic is much more child friendly and more faithful to the original source material. It also draws connections between the real life people that may have inspired Carroll’s novel. I prefer Svankmajer version, but this is the one I’d show my son. My husband, who loves a good conspiracy theory, enjoyed this documentary which attempts to take a deeper look at what might be behind Carroll’s literary works. Frank Beddor dramatically reinterprets Carroll’s story. 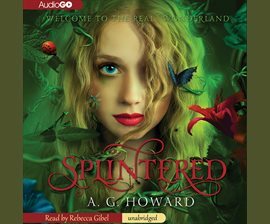 Alyss Heart is thrown out of Wonderland by her Aunt Redd and while living in Oxford tells her story to Charles Dodgson, but he got a lot of details wrong about what actually happened. This Young Adult novel also has appeal to adult fans of fantasy. If you enjoy the darker interpretations of Wonderland such as the American McGee’s Alice video game, than you might be interested in this horror graphic novel, the second in an Alice inspired trilogy. 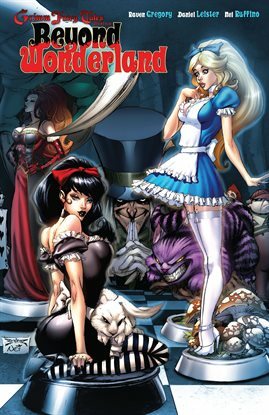 Also available are two other Wonderland graphic novels and several volumes of dark interpretation of Grimm Fairy Tales from the infamous Zenoscope Entertainment. They are recommended for adult audiences only. 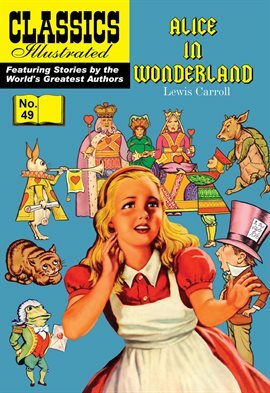 For those looking for a more faithful and child friendly graphic novel adaptations check out the Classics Illustrated Series which adapted Alice in Wonderland in issue #49 and Through The Looking-Glass in Issue #147. Other works adapted include everything from The War of the Worlds to Les Miserables. The 1933 live-action fantasy features Silver Screen icons including Cary Grant, Gary Cooper, and W.C. Fields. 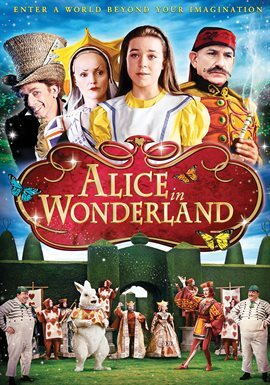 For a more recent live-action version, check out this film with Whoopi Goldberg as the Cheshire Cat and Martin Short as the Mad Hatter. For those looking for a fun animated version for the children, check out this 1995 film from Toshiyuki Hiruma Takashi. Disney’s was the first version of Alice I encountered and still one of my favorites. I have many happy memories of bouncing around my parent’s living room with my sister as we played the soundtrack to the film again and again. Now I can share “The Unbirthday Song” with my own little one. I recently was lucky enough to see Danny Elfman’s Music from the Films of Tim Burton when it was being performed at Lincoln Center. 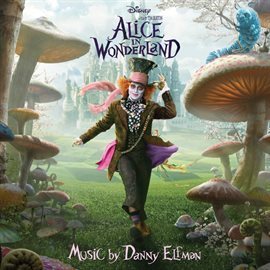 It is hard to think of Burton’s films without having Elfman’s music playing in your head and his signature style is a perfect match for Wonderland. Currently Elfman is at work on the soundtrack for the film’s sequel. 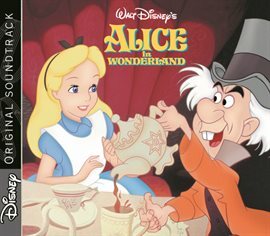 Written to accompany ballet, Herbert Baumann: Alice In Wonderland is another auditory interpretation of Carroll’s classic work available on Hoopla. Sixteen year old Alyssa is a descendant of Alice Liddell. Her mom has been institutionalized and she herself is struggling with hearing flowers speaking to her. When she finds her way to Wonderland she must question everything she knows. 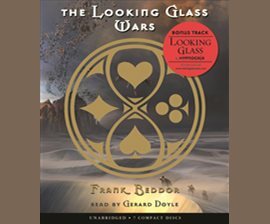 Also available are the next two audiobooks in the series: Ensnared and Unhinged. They are recommended by School Library Journal for grades 8 and up. 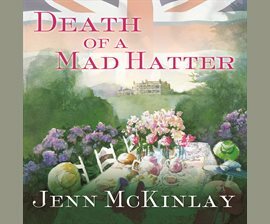 This cozy mystery features two cousins who own a ladies’ hat shop who must create the perfect chapeaus for an Alice in Wonderland-themed fundraiser tea party. When a hat they created has traces of poison used to kill one of the party’s hosts, the ladies must don their thinking caps.